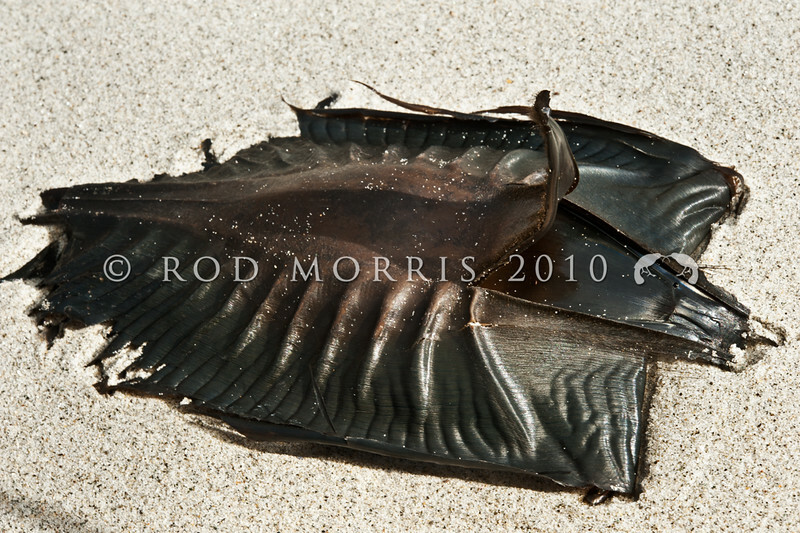 DSC_4365 Elephant fish, or makorepe (Callorhinchus milii) empty egg case washed up by storm. This large (25cm long), protective case contain an Elephant fish egg before it hatched. The eggs are deposited October to May, when large aggregations of Elephant fish form large breeding schools in the shallow coastal waters of the Canterbury Bight.